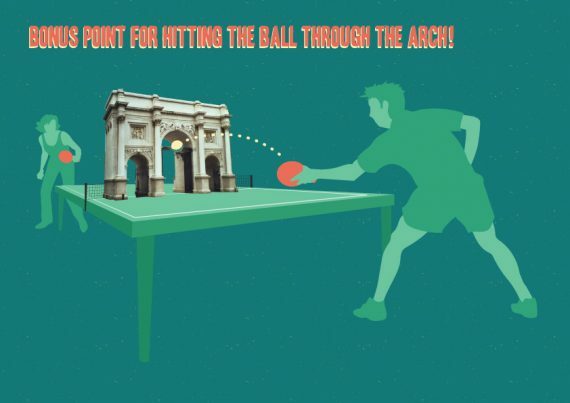 Marble Arch London has teamed up with Sing London to bring table tennis to Marble Arch. Two tables will arrive on 4 July, to while away your lunch break and challenge your colleagues. 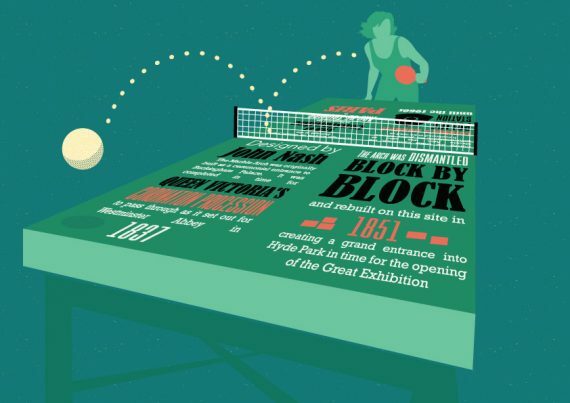 One table tells the story of Marble Arch’s history, with the second table featuring a model of Marble Arch as its net, to add a new dimension and challenge to your game. The tables will be in place until the end of August. If they prove popular the tables could become a permanent feature. Tweet us your pictures using #PingMarbleArch.